This is the eleventh in a series of articles Interest.co.nz has commissioned reviewing the key chapters and issues for New Zealand in the Trans-Pacific Partnership Agreement (TPPA). Links to all the analysis in this series are below. Foreign investment is a perennial controversy. We tend to like it when foreign investors build new plants and create new jobs. But we’d rather not have foreigners buying up our existing assets, such as residential property, especially when Auckland real estate is more expensive than that of London or San Francisco (at least when compared to what you can earn there). And while the focus in the mainstream media is often on foreign investment happening in New Zealand, it is important to keep in mind that many Kiwi firms are investing overseas. The TPPA will encourage foreign investment between its members. In addition to being a trade agreement, the TPPA is also a multilateral investment treaty, under which Parties agree to afford certain rights and privileges to investors from other TPPA countries. For the most part these rights and privileges are contained in chapter nine (Investment). Part A of the chapter outlines these benefits. Part B of the chapter contains the controversial investor-state dispute settlement mechanism, which we covered in an earlier article here. While it is clear that the agreement certainly relaxes restrictions on foreign investment, it falls far short of prescribing equal treatment of foreign and domestic investors within the TPP bloc. Much of the action is contained in the country-specific annexes to the chapter, which contain numerous exemptions to the various components of the main chapter. The centrepiece of the chapter is Article 9.4 (National Treatment), which obligates Parties to give investors from other TPPA Parties the same rights as domestic investors. This means, for example, that a US investor purchasing an asset in New Zealand is the same as a Kiwi purchasing that asset, at least in the eyes of the government. However, while it may seem that this opens the doors to foreign investment, much of the rest of the chapter and the associated annexes then roll these privileges back. Article 9.10 (Performance Requirements) stipulates the kinds of conditions that can be imposed on a foreign investor. Articles 9.10.1 and 9.10.2 prohibit certain conditions that impose burdens on investors. For example, a Party cannot require an investor to use a certain percentage of domestic inputs in production once the asset is in place, and they cannot require the investor to meet certain export targets. In addition, a Party cannot make investment conditional on the transfer of a specific technology to the host country. However, Articles 9.10.3 and 9.10.4 make it clear that other terms can be imposed as a condition of investment. A Party can require an investor to locate production, supply a service, train or employ workers, construct or expand particular facilities, or carry out research and development, in its territory. This means, for example, that our government would be within its rights to require a foreign investor to train and employ New Zealand residents as a condition of foreign investment. Article 9.11 (Board of Directors) also allows Parties to place certain restrictions on the nationalities (or residencies) of the board of directors of enterprises involved in foreign investment. But it prohibits such restrictions being placed on senior management positions. Yet these rules do not apply to all forms of investment. And the exceptions vary by country. Article 9.12 (Non-conforming Measures) informs us that Articles 9.4 (National Treatment), 9.5 (Most Favoured Nation), 9.10 (Performance Requirements) and 9.11 (Board of Directors) do not always apply in all cases. As stipulated in various annexes to the chapter, a variety of investments are exempt from various combinations of these articles. And the exceptions are numerous, to say the least. The exceptions are split into two lists. Annex I describes existing discriminatory measures that parties want to retain in favour of their domestic suppliers or investors. Measures included under this annex cannot be made more restrictive in the future, and any relaxation of these restrictions must be extended to all TPP countries. New Zealand’s exemptions focus on maintaining control over certain aspects of dairy, air travel, communications and fishing. Annex II lists reservations for sectors and activities for which TPP Parties reserve the right to maintain existing discriminatory measures and/or adopt new or more discriminatory measures in the future. For New Zealand there are additional exemptions for dairy, fishing and travel. We also reserve the right to adopt or maintain any measure with respect to water (including the allocation, collection, treatment and distribution of drinking water), nuclear energy, preferential co-production in film and television, a variety of ‘vice’ industries (gambling, betting, prostitution, tobacco, and alcohol) and public services (including law enforcement and correctional services). The government will also be able to maintain its recent policy of selling state assets exclusively to New Zealand residents. And while the TPPA does rule out an outright ban on foreign investment in property, the Annex does make it clear that we are free to tax foreign investors from TPP countries. New Zealand reserves the right to adopt or maintain any taxation measure with respect to the sale, purchase or transfer of residential property (including interests that arise via leases, financing and profit sharing arrangements, and acquisition of interests in enterprises that own residential property). As any good trade negotiator knows, a sufficiently high tax is effectively the same as a ban. Currently our Overseas Investment Office (OIO) must approve any overseas business investment worth over $100 million. That threshold would increase to $200 million for private investors from the TPP bloc. For foreign governments investing in New Zealand businesses the threshold would remain at $100 million. Any proposed acquisition of land considered to be sensitive (such as farmland), or any transaction that would result in an overseas investment in a fishing quota, would continue to require OIO approval. Under Annex II, New Zealand also reserves the right to change the criteria used to evaluate these significant and sensitive investments in the future. The Labour Party opposes the TPPA in part because it would prevent us from banning foreign investment in residential real estate, and there is the occasional call to do just that in order to bring Auckland property prices back down to saner levels. It is true that banning foreign nationals from TPP countries would violate the National Treatment clause. In addition, these benefits will flow through to other countries that have a most-favoured nation clause in their free trade agreements with New Zealand (such as China, Korea, and Taiwan). But we do have the taxation exemption, meaning that we can still apply hefty taxes on non-residents to dissuade them from purchasing property. But on the other hand we might just need foreign money to bring Auckland real estate back down to earth. Banning foreign investment could bring prices down a bit, but it will do nothing to address the housing shortage in Auckland. We need another 40,000 dwellings, and the only way to achieve that is to relax urban planning restrictions. If that happens, a surge in housing construction and infrastructure development will have to be funded. Rather than exclusively relying on international credit markets, we may find that adding some foreign direct investment into the mix is a more financially prudent strategy - especially given the recent concern over our debt. 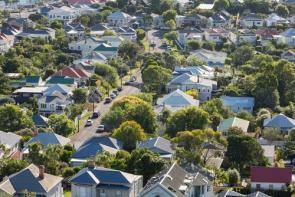 (There's more from Ryan Greenaway-McGrevy on Auckland housing here). Correction: This review has beern corrected in the second last paragraph to say "taxes on non-residents" rather than "stamp duties on foreigners" that appered in the original version, to more properly reflect our FTA with Korea. Read this hopefully you finally understand that imposing a stamp duty will not violate the South Korean FTA. You were wrong countless times so hopefully that clears things up. If you still don't get it I am sure Ryan can explain it to you in plain english. It is true that banning foreign nationals from TPP countries would violate the National Treatment clause. In addition, these benefits will flow through to other countries that have a most-favoured nation clause in their free trade agreements with New Zealand (such as China, Korea, and Taiwan). But we do have the taxation exemption, meaning that we can still apply hefty stamp duties on foreigners to dissuade them from purchasing property. PM aand his gang are the one enjoying the benefit of speculation so why would they take any action. They can simply inpose stamp duty on overseas buyer but why would they displease their bosses. First of all they take no action and whenever they come out an open their big mouth - lie lieand to cover that lie comes with insensitive remark. They do not even realize that they are standing in isolation and more they denyand nottake action more the anguish as they will have to facethe wraught of the people that is building and now looking for avenues to pent up their anger. Economic dinosaurs like Stephen Joyce continue to believe that any money that comes in to own something here is beneficial. He is wrong on that. Just like thinking that all or any migration is useful. Can anyone point to verifiable examples of value being created by foreign investment in established assets? Should have been banned from the country for that shite film he made. Is our PM and FM Listening. Can impose stamp duty on foreign overseas buyer to stop massacre of the first home buyers in Ne Zealand, whose wages does not support to bid with overseas buyer and money laundering that is rampant. Have you not heard better late than never. Do it now and get back your respect. So not much about trade in this trade agreement then...its really about globalisation for the wealthy. Democracy is the government of the people, by the people, for the people but our Very Hon PM has changed it to : Democracy is the government of the rich, by the rich, for the rich and If I may add for the Overseas Rich Also. If not, why the Inaction by the government to curb speculators. Nothing is without reason so definitely government has an agenda or vested interest in the current Housing madness that is spreading like wild fire all over NZ and who cares about the country and his people and I thought Our's is a developed nation. But they have been elected three times. The art in what they are doing is to make 50.1% of the voters "think" they are one of the rich. Not hard when house prices are rocketing. Great article Ryan. Credit where credit is due. Good to dispel the lies being spread by the government and other media firms around about the Korean FTA . Stamp Duty at a high enough level is effectively a ban. "It is true that banning foreign nationals from TPP countries would violate the National Treatment clause. In addition, these benefits will flow through to other countries that have a most-favoured nation clause in their free trade agreements with New Zealand (such as China, Korea, and Taiwan). But we do have the taxation exemption, meaning that we can still apply hefty taxes on non-residents to dissuade them from purchasing property. "